"This Is Life. Right Now"
I was sitting in my car today enjoying the twenty minutes before working on a client. The warm sun felt so good as I hydrated my body with the filtered water I had brought along with me. Nothing feels better than this! I was truly in the moment, taking deep breaths in and out, centering my body. How many of us do this? This is simply called Mindfulness. 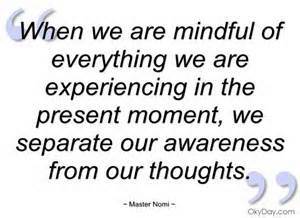 Being Mindful is an awareness that is important especially today with the demands on our time and energy. Instead of trying to control all aspects of things in our lives, we need to learn to let go and accept those situations that we cannot change. Without the proper stress management techniques we are unable to protect our body and mind from the harmful effects of stress. Learning how to be mindful is a technique we all can learn to use on a daily basis. Here is a five minute guided breathing meditation called: Sitting With Breath! This is your life, right here and right now. For help with reducing stress naturally , consider a whole food approach to wellness. I can help you to discover how you can Balance out and LOWER Cortisol/Stress levels to Healthy Levels! Wow, thanks ladies.. don't forget to take a deep breath! Much love to you all! As long as I can remember, I have been told to "Take a deep breath!" when making a decision, handling a crisis, looking for an answer. Old saying but oh so true! Thanks for sharing this Deana. Excellent article Deana. Breathing techniques quiets your anxiety. I go along with Terri's comment as well. "The (joyous) moments in life that takes your breath away." Liked and Shared. Hi there. Thanks for sharing '"This Is Life. Right Now"' Breathe in.... breathe out.... so important to control our stress as much as we can. Great post Deana and I always try and do about 10 minutes before starting work on the computer. Definitely helps with the breathing exercises. Have shared for you. After reading your post Deana it reminded me of a quote my mentor said to me "Life is not about the breaths you take, it's about the moments in life that takes your breath away." Did you get it Deana? You were having a beautiful moment yesterday. Kudos to you. I have shared everywhere for more people to see.